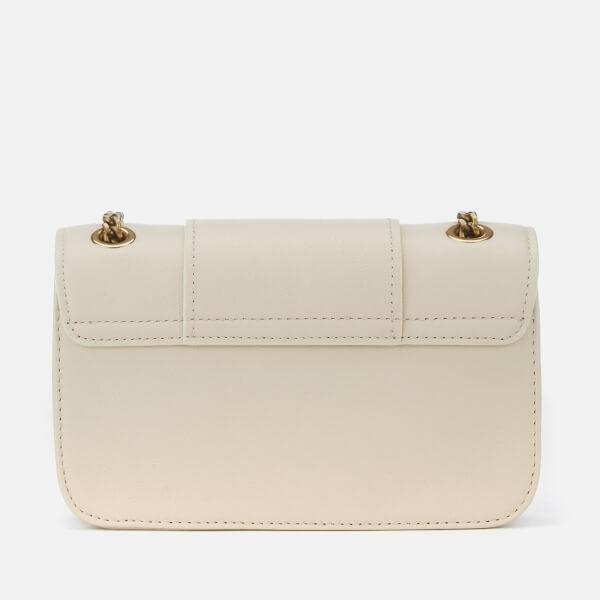 Small cross body bag from See By Chloé. 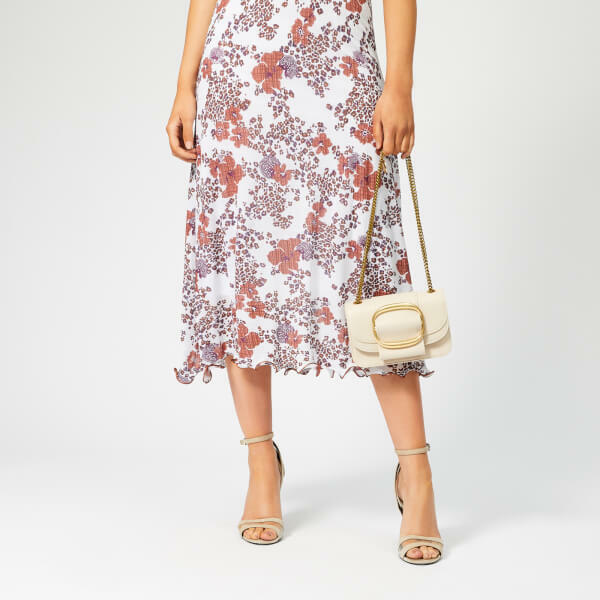 Presented in luxurious textured leather, the 'Hopper' beige shoulder bag features a magnetic flap fastening and lined interior with a slip pocket for small items. The antiqued gold-tone chain strap can be doubled up for versatile wear. An oversized metal ring adornment with engraved branding adds the finishing touch. Dimensions: H: 13cm x W: 19cm x D: 5cm. Strap Drop: 54cm. Dimensions: H: 12cm x W: 19cm x D: 5cm. Strap Drop: 54cm.